We’re Sydney’s experts in keeping garbage chutes and trash systems clean and odour free, Sydney-wide. 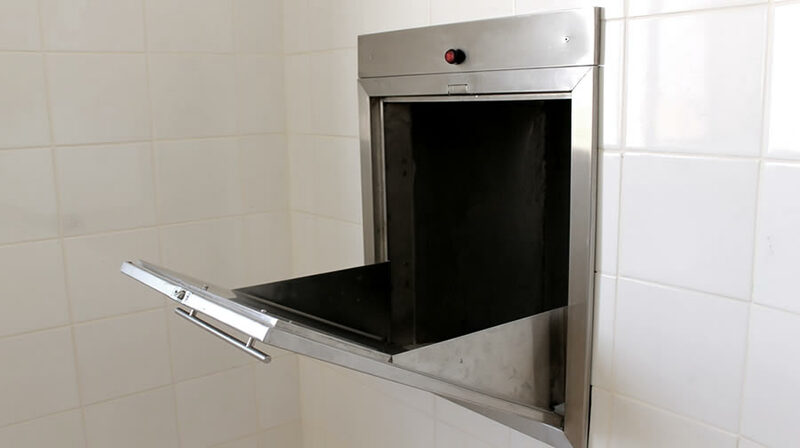 From high-rise chutes to trash rooms, compactors and rubbish bins, we’ll make sure everything is clean and odour-free – with worry-free reliability and customer service to match. The garbage disposal chute is often the most neglected part of the building. Dirty rubbish chutes create many problems for residents and building managers, from unpleasant odours through to hazards like germs and bacteria and pests like cockroaches and rats. We clean garbage chutes using purpose-built machines to clean the inside of the chute top to bottom, even between floors. Additionally we clean the hopper doors on each level inside and out, and thoroughly clean the bottom area and rubbish compactor. If you are a building manager, you’ll do your tenants (and your reputation!) a huge service by getting your garbage chutes cleaned regularly. Contact us today for a free chute cleaning quote. We service the greater Sydney region and nearby regional centres.